"Among all artistic media, I believe that sculpture touches the heart and soul of the artist and viewer alike. Each piece I produce represents a mood and emotion, from comforting to cathartic. Look carefully at these pieces to see the meaning within." Click any item to view a gallery of images. Click any item to view it larger. Our Lady of the Sign" Forged steel, hand carved sign. 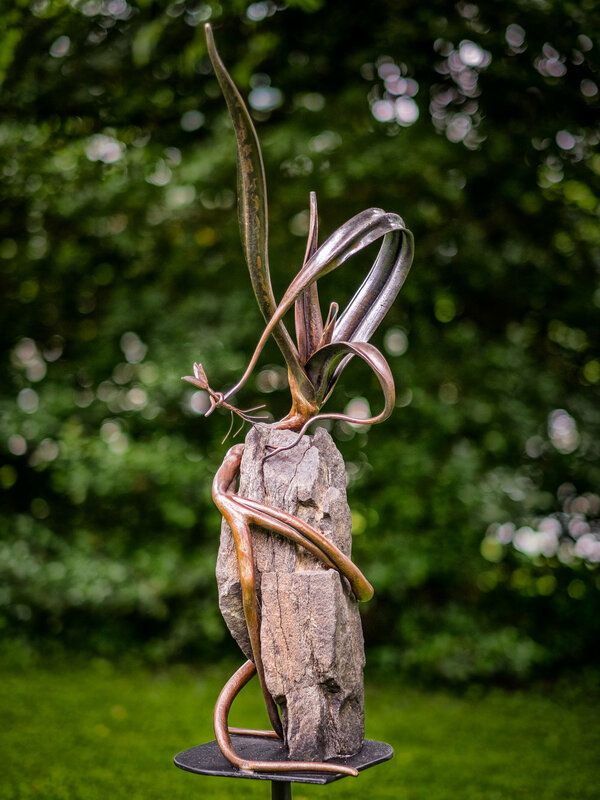 96" x 48"
"Balance" Forged steel, stone. 60" x 30"
"Maternity" Forged steel, salt patina. 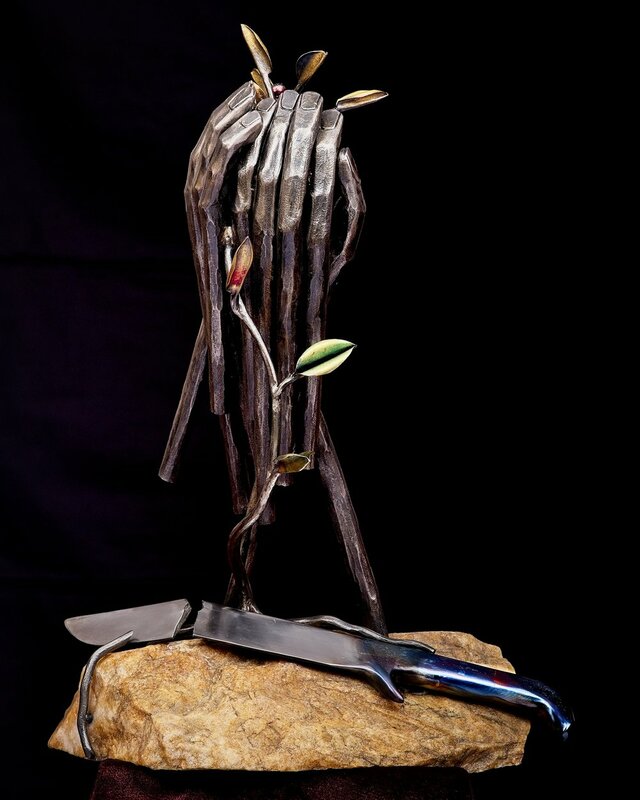 48" x 20"
“Lady in the Leaves” Forged steel, salt patina. “Just Knot Ready” Forged pipe, rust patina and wax.